Tea Tuesdays: The Chemis-Tea Of Pouring The Perfect English-Style Cuppa : The Salt The British are very specific about how they take their tea: black, with milk and sugar. But steeping the optimal cup requires a surprising amount of chemistry. Here's a guide to the science. Tea is a daily ritual for millions of Britons. And the British are very specific about how they take their cuppa: black, traditionally with milk and sugar. In 1946, George Orwell wrote an essay in which he claimed to have cracked the code to putting together the perfect cup of tea with milk. But taste preferences can be very individual, so his solution may not be your ideal brew. "Tea is not like something you can reliably make without really paying attention to detail," says Mark Miodownik, a materials engineer at University College London. Indeed, the ritual is so ingrained in British culture that several scientists over in the U.K. (and elsewhere) have devoted some time to breaking down tea science — specifically, what's involved in brewing the perfect cuppa, British-style. "If you like tea a certain way, then you need to work out what the variables are," says Miodownik. And there are many variables. Tea is made of many compounds, says chemist Nikolai Kuhnert at Jacobs University Bremen, in Germany, who has studied tea. In fact, black tea contains over 30,000 "rather complex molecules." Then, choose whether you want loose leaf or bagged tea. If it's bagged, make sure it's big. 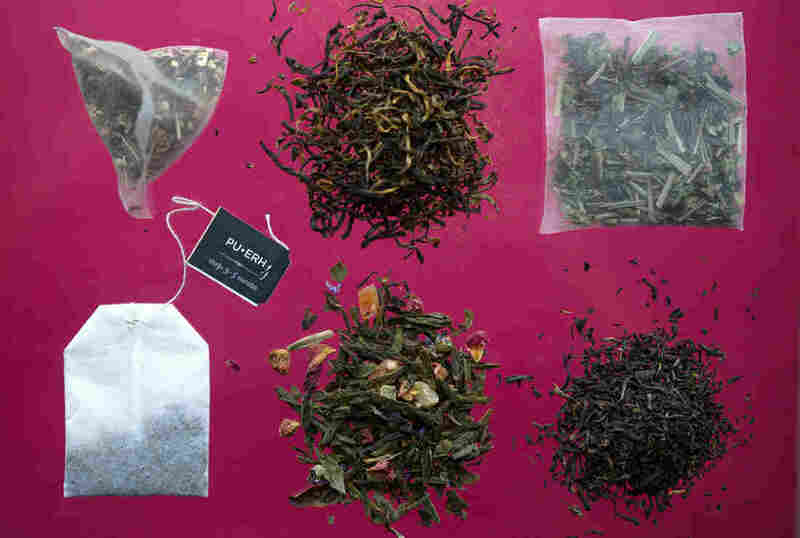 According to research by physical chemist Deo Jaganyi at the University of Kwazulu-Natal in South Africa, the shape of the bag doesn't matter, but larger bags will allow more flavor from the tea to infuse the water. In particular, he says, those pyramid-shaped bags aren't any better than your average rectangle. "The shape of the pyramidal tea bag alone cannot increase the rate of infusion," he and his coauthor wrote in a 2001 study in the journal Food Chemistry. Loose leaf tea, when it sits directly in the water without a bag, is the best choice for allowing full infusion. "The volume of the pot in proportion to the tea and the water is different than [in] the cup," says Miodownik. "If it's a very thick cup, a ceramic cup, you're going to cool down the tea very fast," says Miodownik. 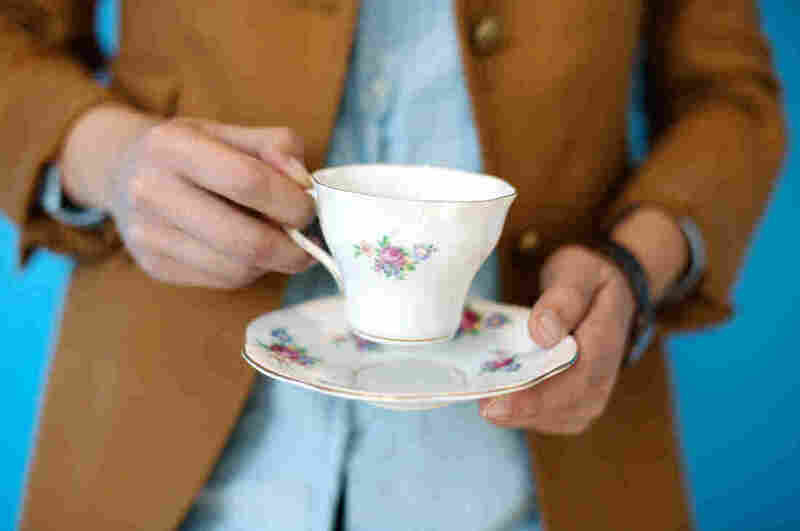 When tea first made its way from China to England, it was accompanied by very fine porcelain, which didn't bleed the heat away so quickly, he says. A thick mug might feel nice in your hands, but the thinner the cup, the longer the tea will stay hot. You should know the character of your favorite tea to determine how long to brew. Black tea is designed to be steeped at a very high temperature (near boiling, see below for more information) for three to five minutes, while green tea pairs with slightly cooler water for a minute or two. Brewing for too long will release the tea's tannins, a substance also found in wine, chocolate and berries that is bitter and astringent. However, too short a brew won't allow the caffeine and flavors to fully infuse the water. 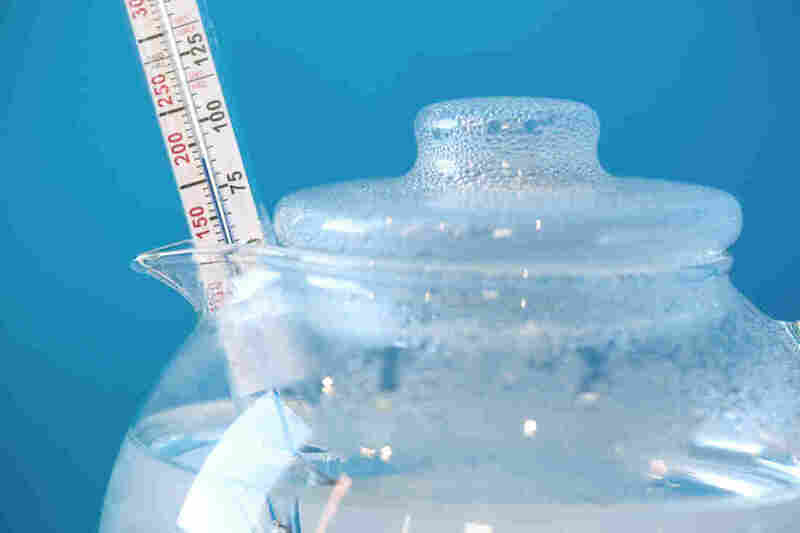 According to the Tea Association of the U.S.A., the larger and more delicate the leaf, the cooler your water should be. Keeping the water close to boiling is ideal for black tea (between 200 and 212 degrees Fahrenheit). For green tea, the temperature can drop to 150 to 180 degrees Fahrenheit. You might even be able to tell the temperature of the water just by listening to how it pours. Humans are surprisingly good at this: Marketers at the company Condiment Junkie tested people to see whether they could tell the difference between the pour of a hot drink and a cold one. Amazingly, 96 percent of people could correctly discern the difference. Adding milk to tea can lessen the effect of tannins. Milk's many proteins fold themselves around the tannins, sequestering them and destroying the bitter taste. But there's a well-documented debate about the benefits of adding milk to the cup before or after the tea has been poured. Andrew Stapey, a chemical engineer at Loughborough University in Leicestershire, England, argues that milk should always be added beforehand. That way, the milk heats evenly. He says pouring in the milk after the tea causes the proteins in the milk to unfold unevenly, contributing to the skin you get on the top of the brew. However, Miodownik says he's tried to replicate this effect, but no informal taste tester has ever been able to perceive a difference. So while the barista at your local shop may roll her eyes at the fussiness of your tea order, a perfect sip comes from careful chemistry. Just don't be surprised if you end up having to make it yourself. With this story, we introduce Tea Tuesdays, an occasional series that will explore the science, history, culture and economics of this ancient brewed beverage.